Egg box cut for increased surface area. High Quality foam for optimum filtration. Universal - for use in any filter box. Can be cut to size as needed. 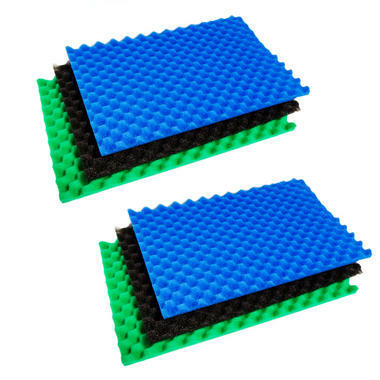 These high quality replacement foam sets are perfect for most filters. The set consists of one sheet of each grade foam, fine, medium and coarse.